The American rock band was formed in the year 1974 in Forest Hills, Queens. The band is often considered to be as the first punk rock group ever. The band achieved a modest commercial success during their active years. 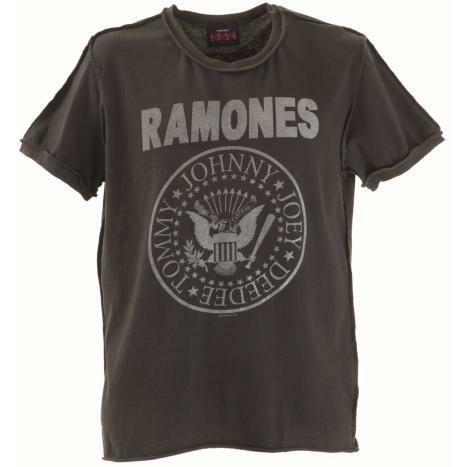 Ramones are often considered as a major influence on the punk rock movement in both US and UK. Members of the band were also known for adopting pseudonyms ending with the surname ‘Ramones’. The band performed at 2,263 concerts and toured virtually continuously for 22 years of their music career. The band disbanded in the year 1996 after playing a live farewell gig. After around eight years of break up of the band, three founding members had expired including lead singer Joey Ramone, guitarist Johnny Ramone and bassist Dee Dee Ramone. Their compilation album ‘Ramones Mania’ went on to achieve huge commercial success in US and was later certified gold. In the year 2002, the band was ranked as second greatest band of all time by Spin magazine.